Welcome to Gun Funny, Episode 33. Today we’re going to chat with Instagrammer Bee, AKA Wanderess11, make a prank call about scary gun owners, and talk about firearm training systems. Today’s panel is Shawn Herrin, Lacey Lane, and I’m Ava Flanell. Welcome to the show everyone. Jimbo_is_dead – 5 Stars – Good stuff – Great show! Shawn’s dulcet tones really make the show great. Lacey needs more air time, and Ava can really channel that yenta in her soul. Become a Patreon – Donate to the show and get access to our patreon only Facebook page. 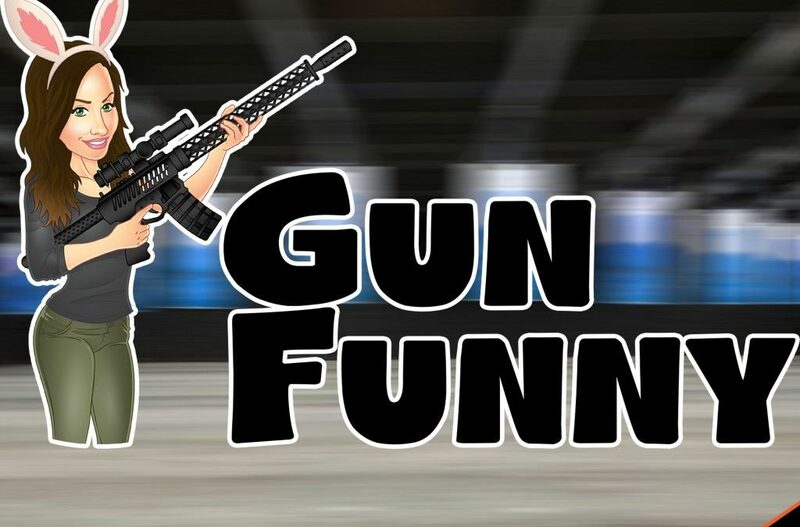 Depending on your level of donation, you can get access to our Gun Funny SnapChat, a monthly raffle to win cool stuff, exclusive/limited edition t-shirts, a shoutout on the show, and even an opportunity to be a guest on the show. “the gun community should be aware that I am extraordinarily good looking and that we make the absolute best holsters money can buy. Also everyone should go to our website and buy all the things. I have a bad taco and cocaine habit so it goes to a good cause.”Visit https://www.patreon.com/gunfunny to become a patreon! !